As you know, we six get together each week and for a few short hours, to work our butts off while singing our hearts out. We leave feeling fulfilled, renewed, and supported. We really are so lucky. It is hard to take time away from our busy lives, (we are six working mamas after all!) but for each of us, our time together is so important. We have become a support network; encouraging each other through the ups and downs life throws our respective ways. AND we LOVE to celebrate the ups! Right now, we are SO proud of our alto, Eran, and her recent successes. A year ago, having suffered from post partum depression after the birth of her son, Eran started a website called the Good Mother Project. The site featured her powerful photo series of mothers and their children holding inspirational and uplifting messages (messages such as “you are a good mother”) and a blog. Eran held the photo sessions to raise funds for the Pacific Post Partum Support Society. The Good Mother Project brings together a network of mothers in an online forum where women can relate and find support through heartfelt stories written by other mothers. Eran’s mandate is to “encourage, inspire and empower others who are navigating the same pressure-filled waters of parenthood” and the Good Mother Project does just that! The project has created quite a buzz! It has been covered in the news several times, including the Huffington Post. Moreover, Eran recently was recognized by being asked to speak at one of Sam Sullivan’s Public Salons at the Vancouver Playhouse, (an evening of speakers sharing ideas that educate and provoke thought) and shared her journey in creating the Good Mother Project with a large audience. You can watch her speech too by following this link. On our fall Sweet Scarlet retreat, Eran shared huge news with us. 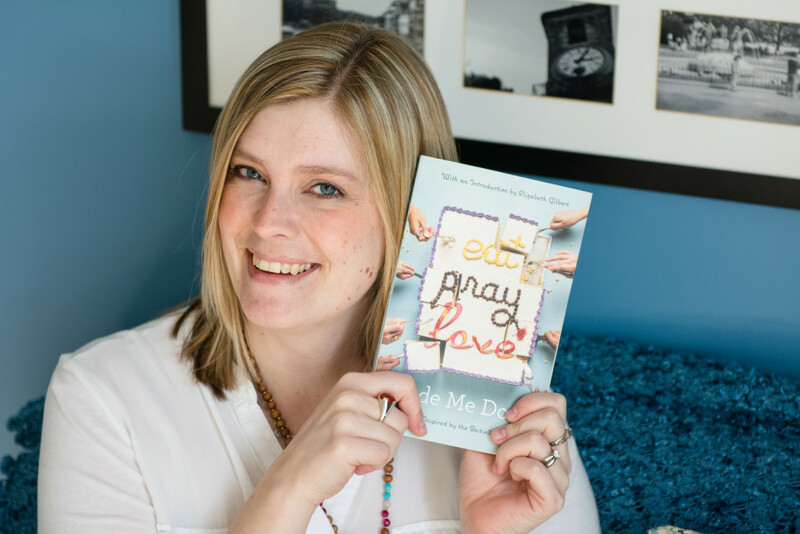 She had written an essay that was selected for inclusion in the tribute book, Eat Pray Love Made Me Do It. As a huge fan of Eat Pray Love, and being one of thousands to submit their stories, this was a HUGE accomplishment. Around the dinner table, Eran read her story to us. There was not a dry eye in the room, as you can imagine. The book just hit the shelves, and if you ask her nicely, she might just autograph your copy for you! And if that wasn’t enough to keep her busy, outside of her photography business, Eran has also worked tirelessly this year to bring the live stage production, Listen to Your Mother, to Canada AND she will be performing her story in the production as well – a story about Sweet Scarlet and how our weekly rehearsals helped to lift her up during her time with post partum depression. The show is made up of thirteen women telling stories about motherhood. We can’t wait! Tickets are on sale now on Eventbrite.